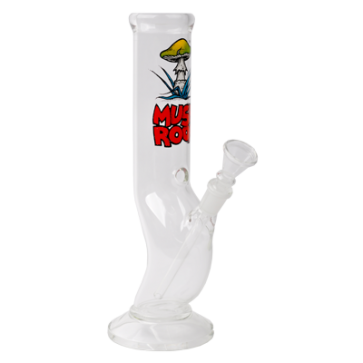 This high quality glass 2 part bong is the smoking tribute to Magic mushrooms. The glass mouth tube is 45 mm in diameter and a has a total hight of 26 cm with a solid 14,5 mm socket. On the front just above the nicely curved base the bong has it's choke or kick-hole. 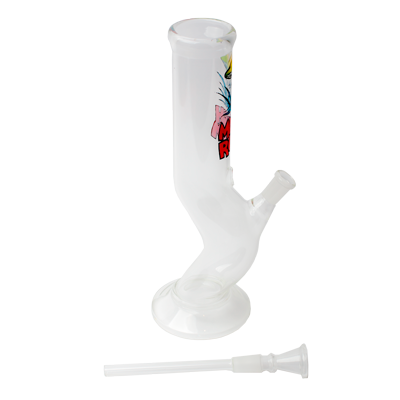 The waterpipe has a glass in glass slider with a single walled bowl. 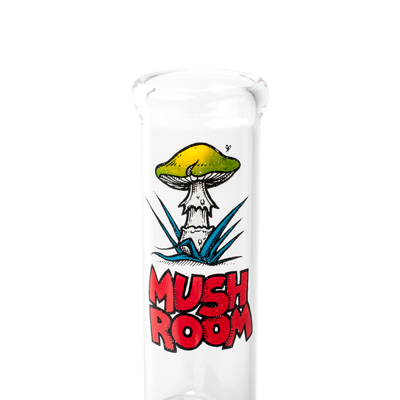 On the bong a print of magic mushrooms. Have a great smoke!